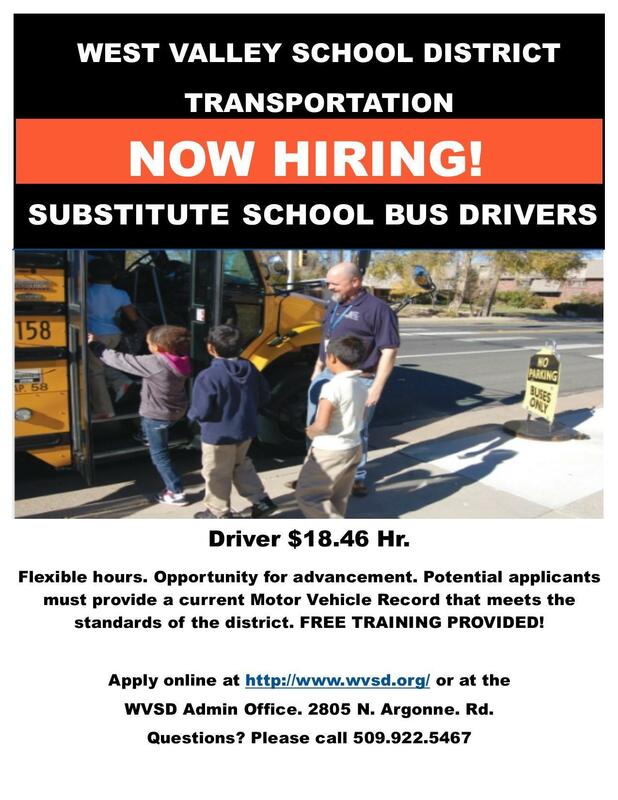 West Valley Transportation is currently hiring substitute bus drivers. The position offers flexible hours, great starting wage, and the opportunity for advancement. If you are interested in applying, applications are available online at the West Valley School District website, http://www.wvsd.org/. Click on the Employment Opportunities link. Questions? Please call (509) 922-5467.